Fixed Departures: in June-July-August every Saturday at 14:00, In May 12th and 26th. Are you ready to hear more exciting stories about the building with yellow walls? Order your ‘Mental Walk’ – walking tour led by one of our professional guides to explore the rich history of the hospital, people behind the revolutionary development of psychiatric care and famous patients through the years. You will also hear more about the current functions and get to enjoy the surroundings! 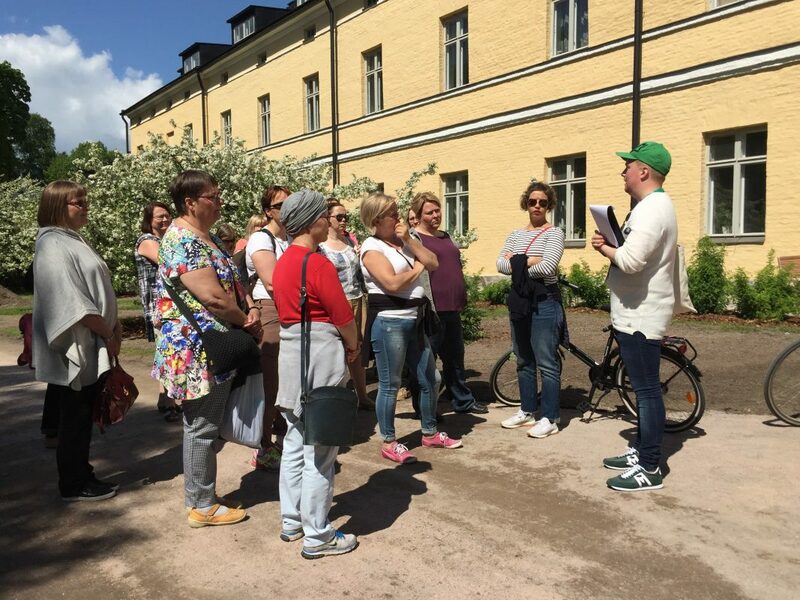 This walking tour takes you through the history of the oldest psychiatric hospital in Finland. 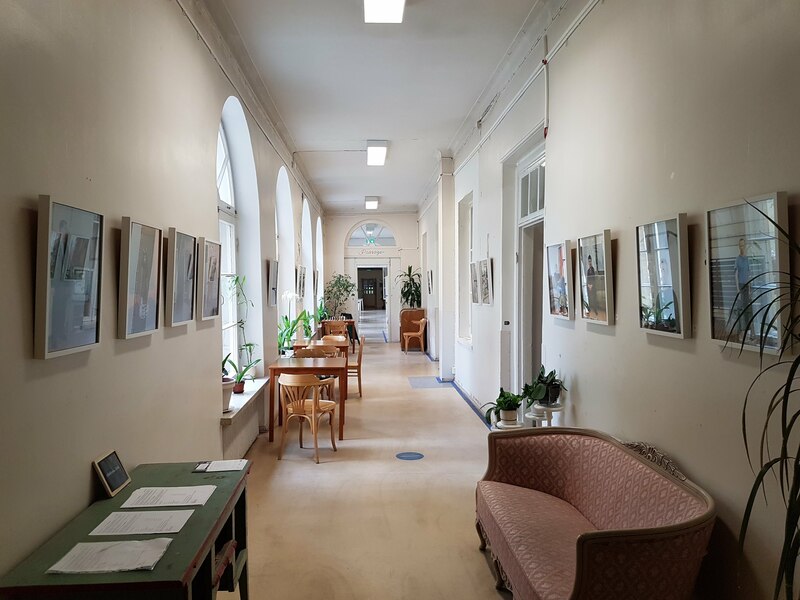 You’ll learn about the evolution of attitudes, practices, and treatments of mental health issues in Finland, and hear true stories about patients and doctors who lived inside the gates through the decades.All kinds of fascinating, unbelievable stories, from desperate to heartwarming, tragic to hilarious are part of its 176 year-old history. Nowadays, after incredible battles for the preservation of the site, the area offers everyone a possibility to relax, ease the mind and enjoy culture. Who hasn’t heard about Finnish “Seven Brothers”? One of the first novels written in Finnish, which is nowadays considered to be an epic Finnish classic. Surprisingly, Aleksis Kivi, the father of “Seven Brothers” was taken to the hospital because of this novel, which after his death brought him a cult status. The novel was released in 1870, after years of intense and draining writing process. It introduced a fresh “rough-around-the edges” -type of way to write about the life in the Finnish countryside. The book was a big effort from Kivi but it was received very badly. All the main critics of the time destroyed the book with their reviews and Kivi took this very hard. 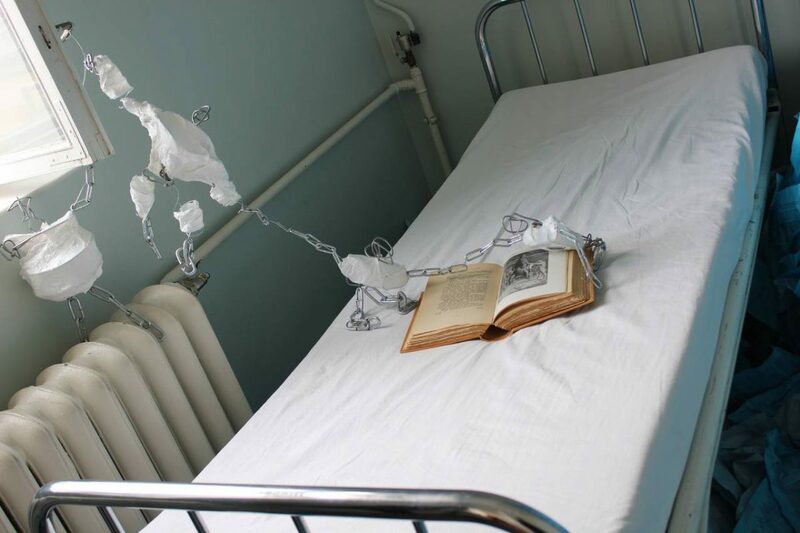 Eventually his mental health collapsed and he was taken to Lapinlahti hospital in 1871. His illnesses were not unfortunately cured or even mitigated, and it has been later speculated he suffered from Alzheimer’s disease. Aleksis Kivi is not the only one in Lapinlahti hospital among outstanding characters of the times. 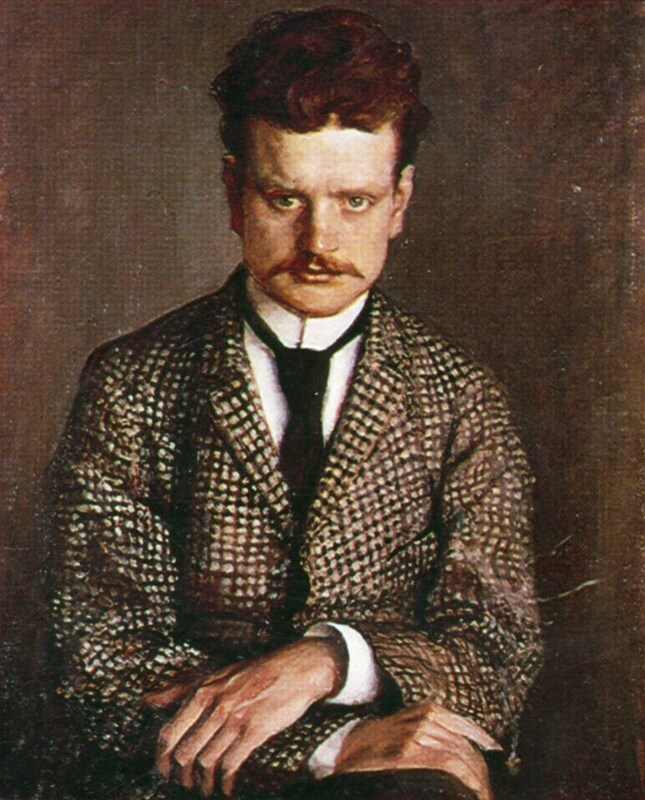 Jean Sibelius, the Finnish composer, and all his siblings have spent their times in the hospital. And even the Finnish foreign minister Rudolf Holsti had an opportunity to spend a night behind the yellow walls. 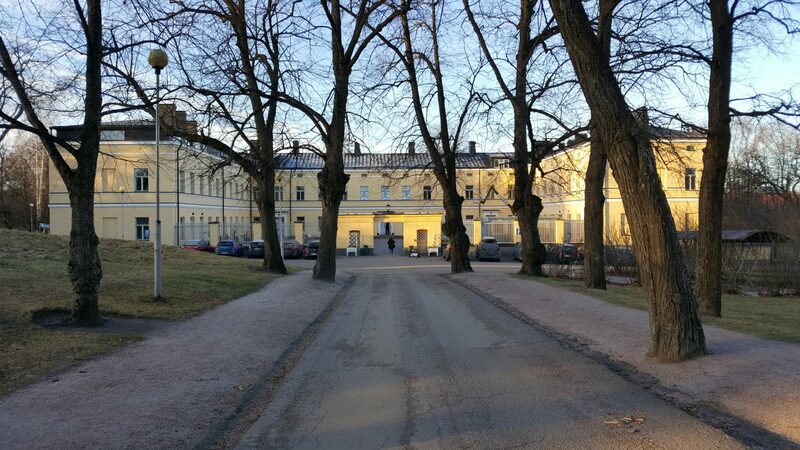 Lots of Finnish artists, musicians and actors have praised their time of “recharge” in the premises. An endless amount of very different life stories are linked with the hospital and that is what makes it such an inspiring place. 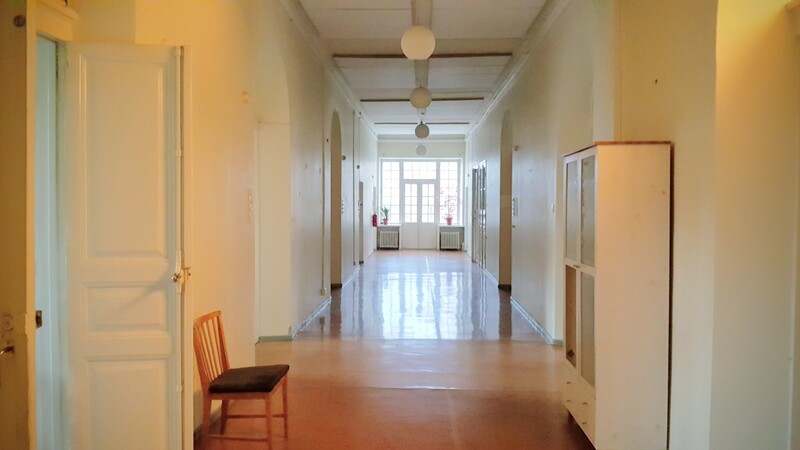 The hospital was permanently closed in 2008, and now the premises hosts an intriguing mix of workshops, events, and shows, as well as restaurants, a café, and a souvenir shop.